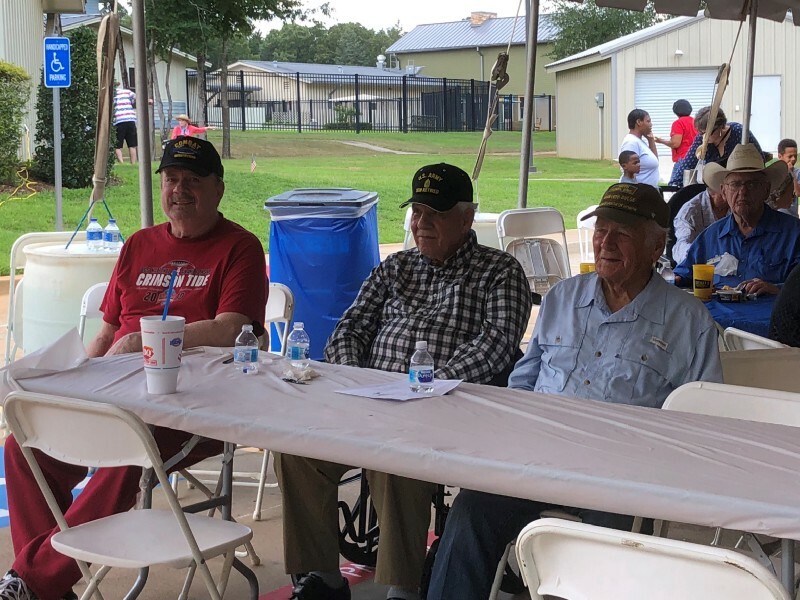 The Texas State Veterans Home in Amarillo commemorated Memorial Day with a cookout for residents, families and team members. 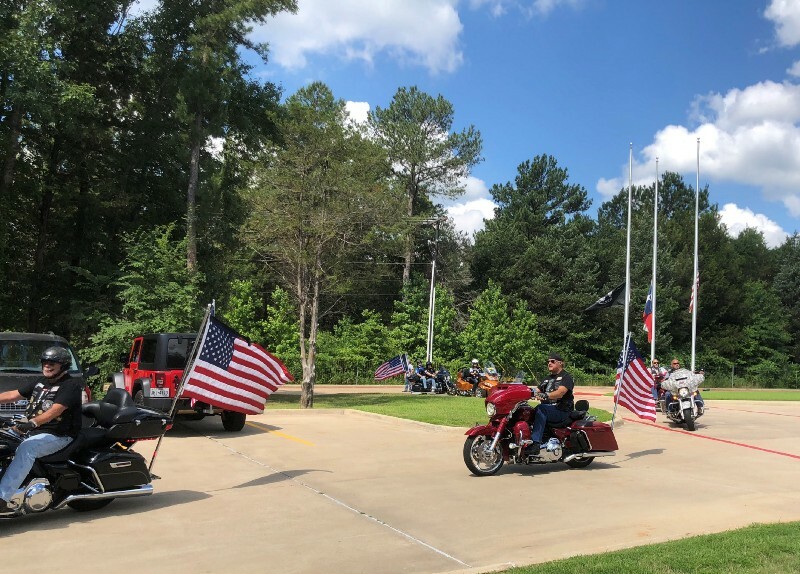 A memorial service was also held to honor those Veterans who have passed since Memorial Day 2017. 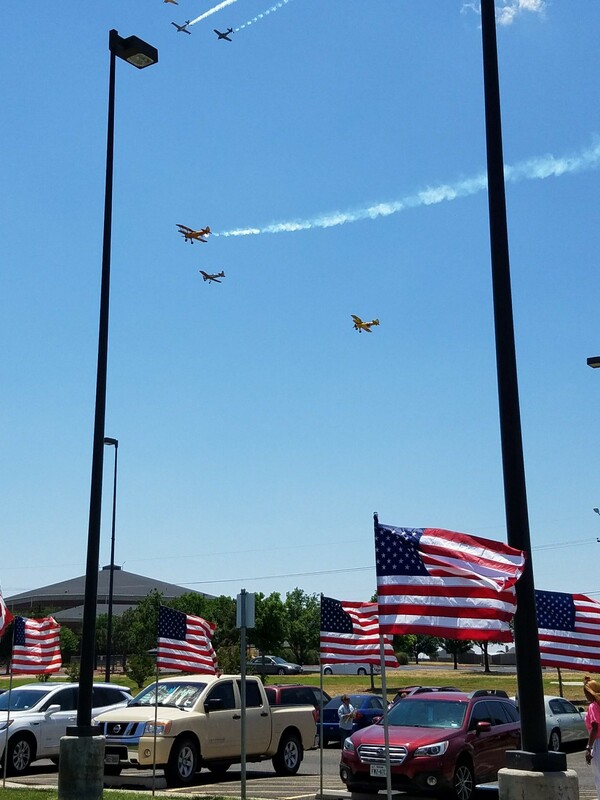 We had the great privilege of a flyover with AT-6 Texans, Stearman Trainer Biplanes and a Ryan PT-22 recruit plane. 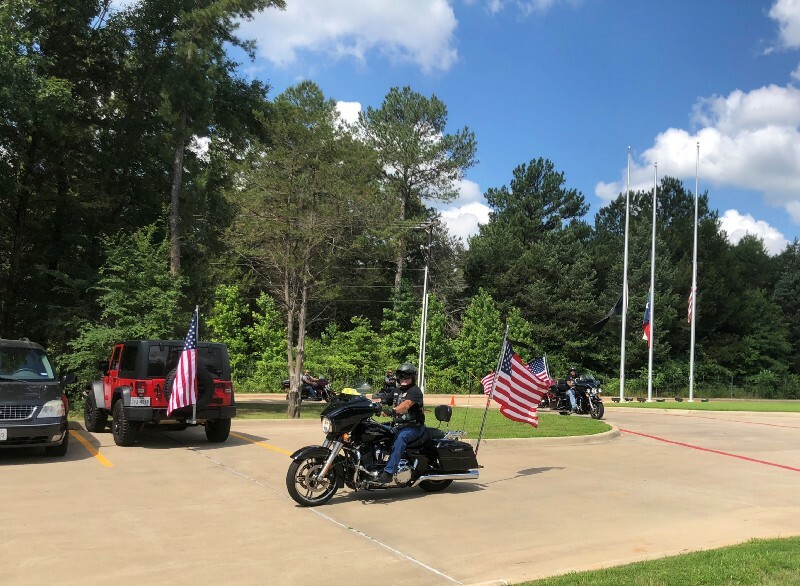 The Texas State Veterans Home in Bonham observed Memorial Day with a ceremony and BBQ luncheon on Monday, May 28. Many thanks to Texoma Composite Squadron 262 with Civil Air Patrol for posting the colors, and Merideth Puckett for singing the National Anthem and God Bless the USA. 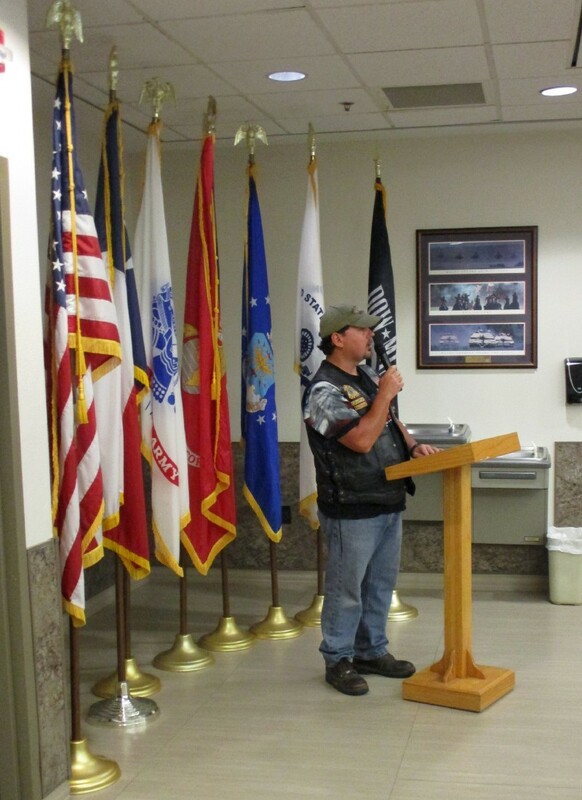 The invocation was led by Dr. Lowell Howard, Chaplain, and the guest speaker was Mark Helton, U.S. Army Sergeant First Class. 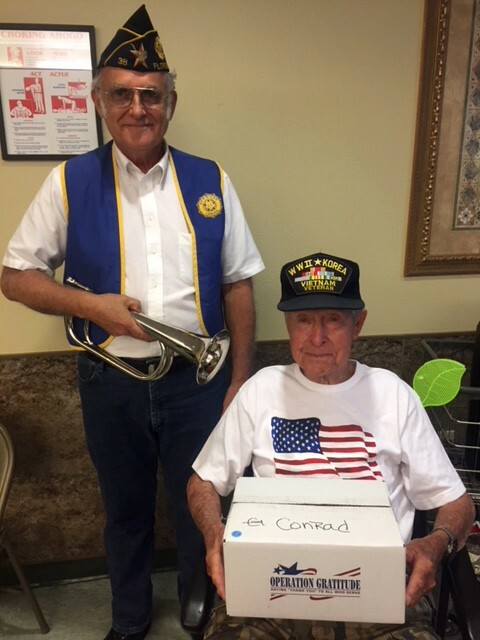 Taps was performed by Stephen Murden. 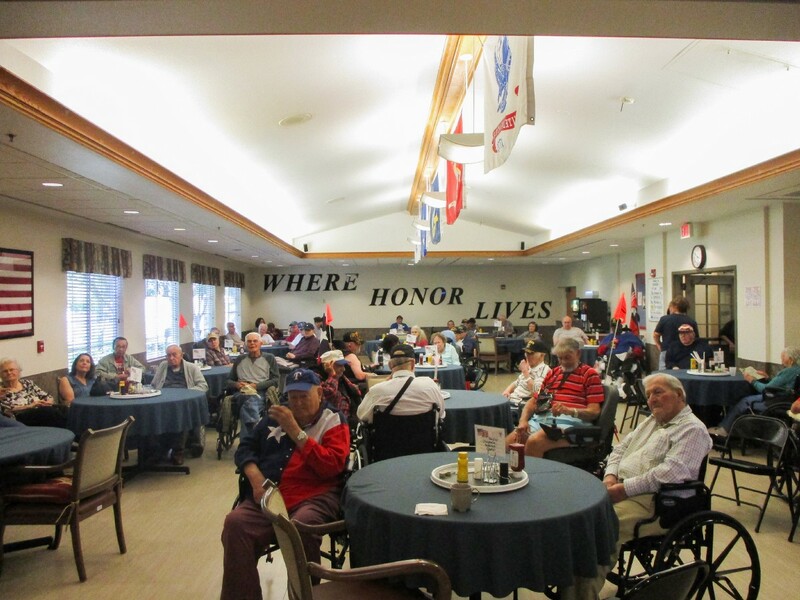 Members of the community joined in to remember the fallen and honor those Veterans still living. 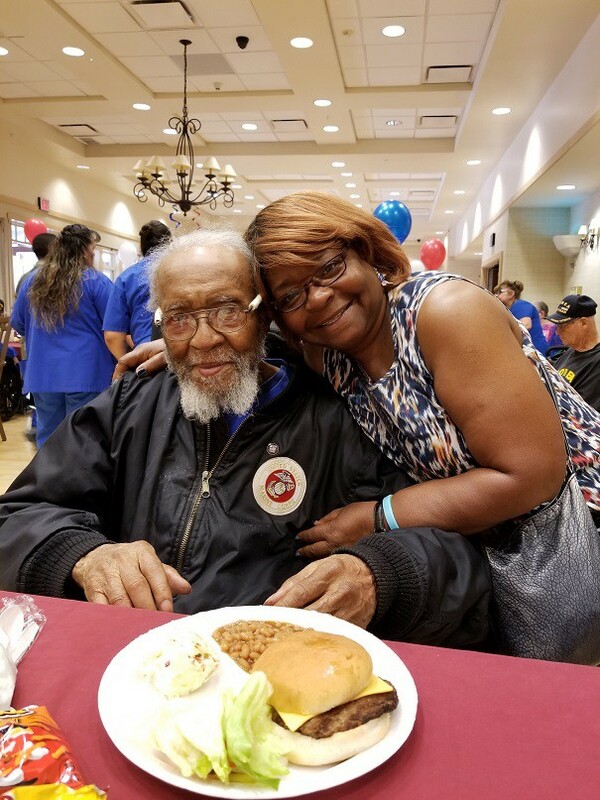 The Texas State Veterans Home in El Paso hosted a Memorial Day Ceremony and luncheon on Monday, May 28. 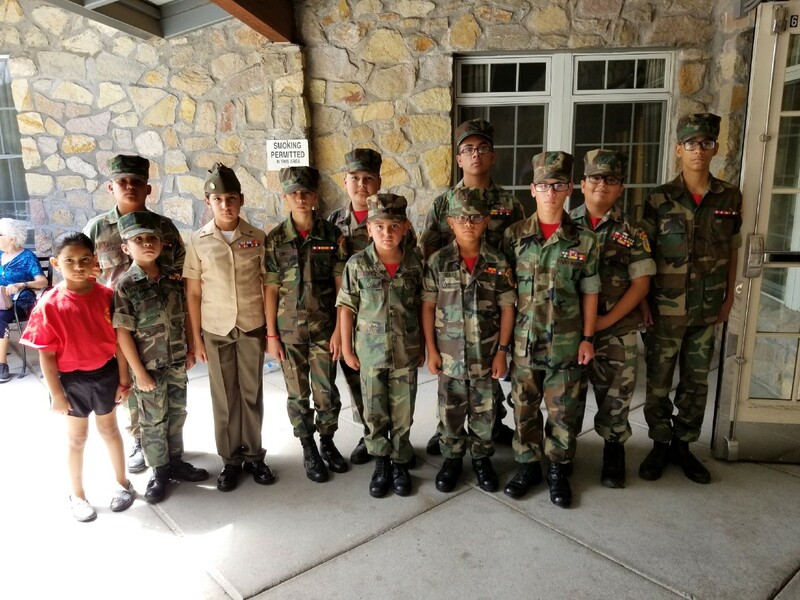 The ceremony included an invocation by Reverend Gary Carne, and the Presentation of the Colors by the West Texas Young Marines. 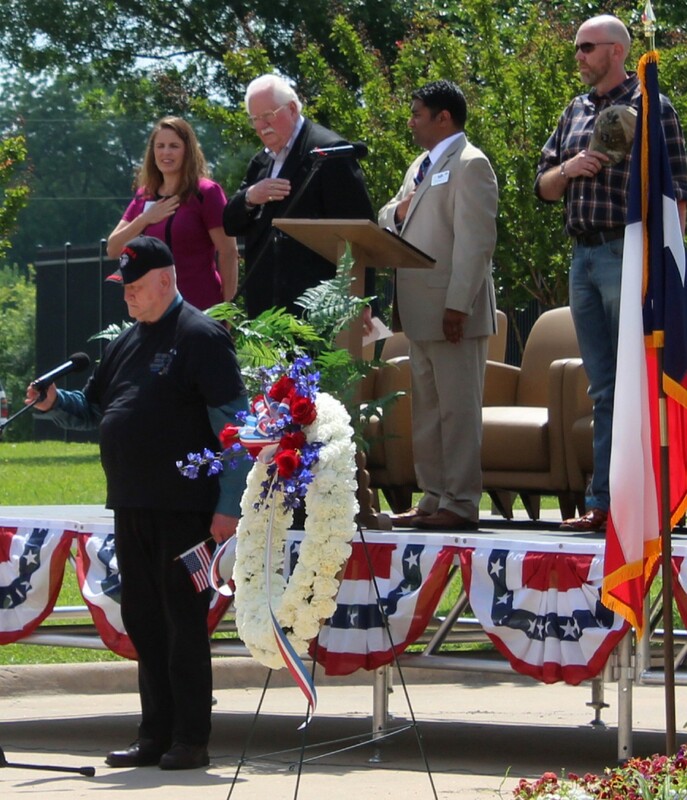 The McCombs Baptist Church Choir performed the National Anthem, followed by the Pledge of Allegiance. 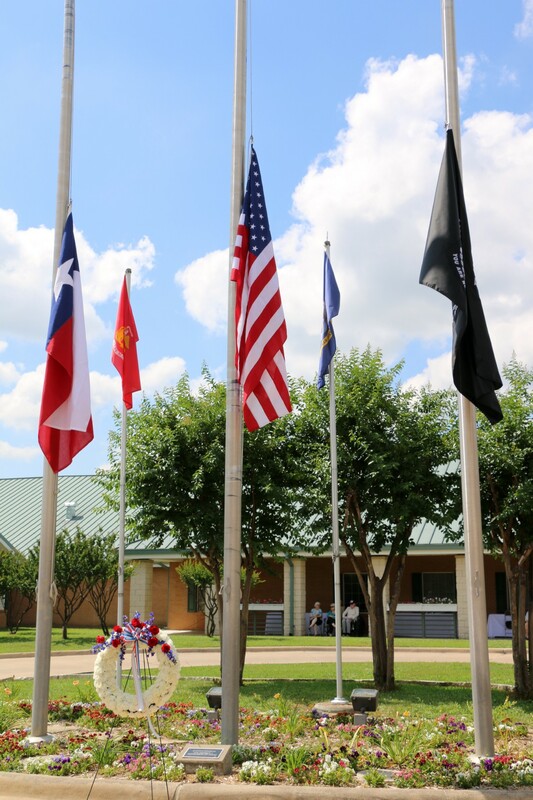 The keynote speaker was Master Sergeant Garrett O’Keefe, followed by the reading of fallen heroes by Sergeant Estella Brown and Crystal Garcia, Director of Nursing. 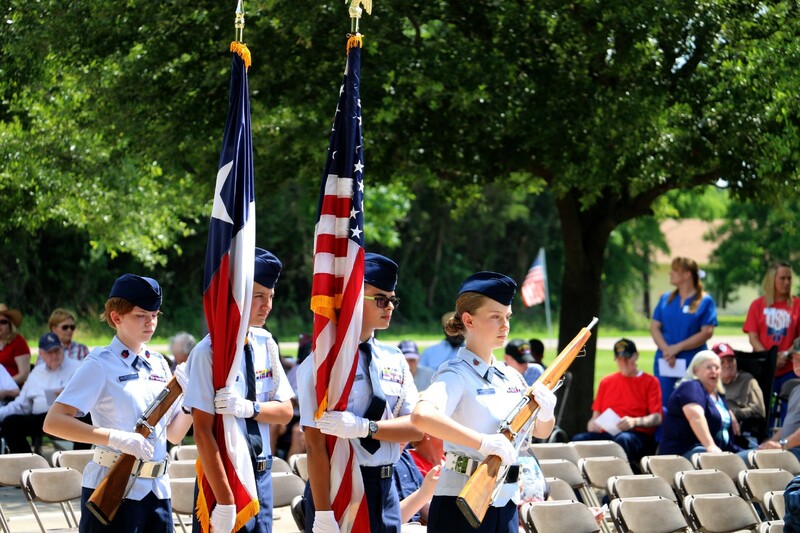 Many thanks to Irvin High School for performing TAPS. 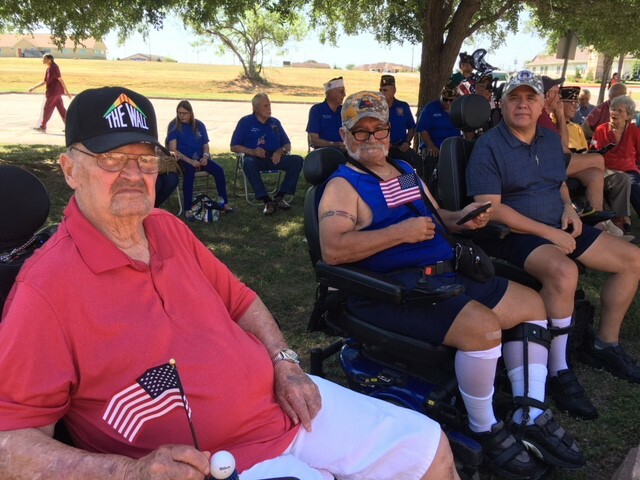 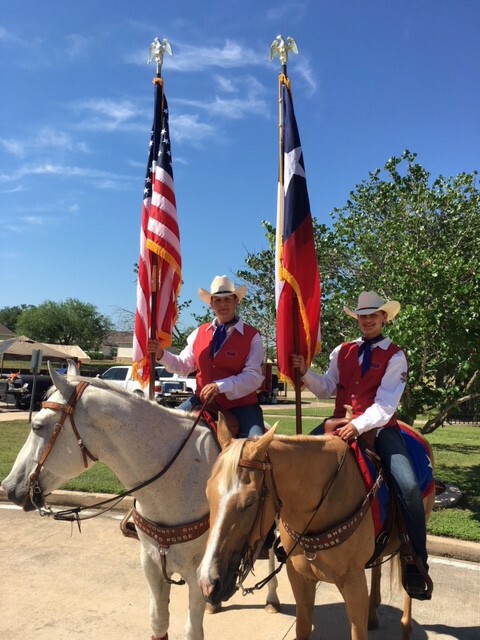 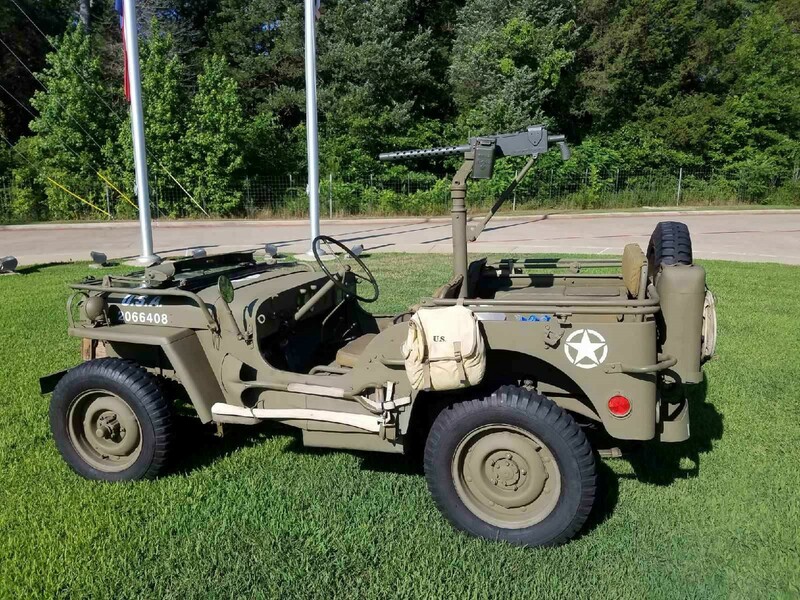 The Texas State Veterans Home in Floresville commemorated Memorial Day with the 5th Annual Basics for the Best event on Saturday, May 26, and with a more formal ceremony on Monday, May 28. 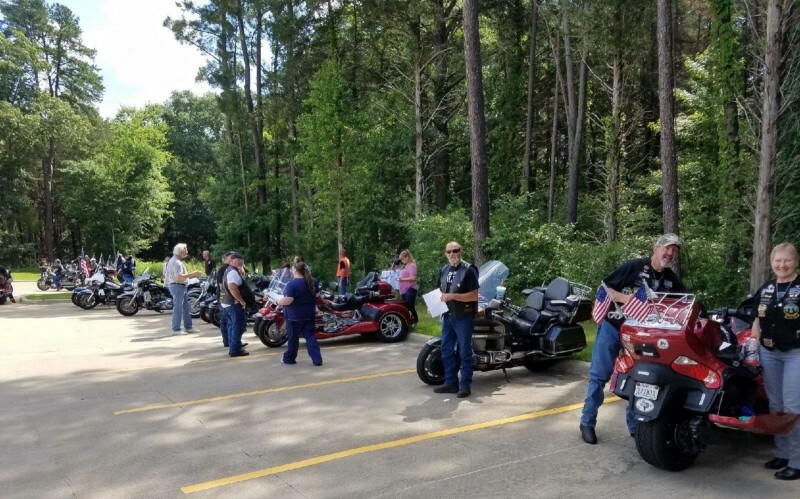 During the Basics for the Best event, Veteran motorcycle groups including the Patriot Guard Riders, Combat Veterans Association, Sovereign Sons MC and Wounded Hearts of San Antonio visited the residents and delivered basic necessities such as t-shirts, socks and personal care items. 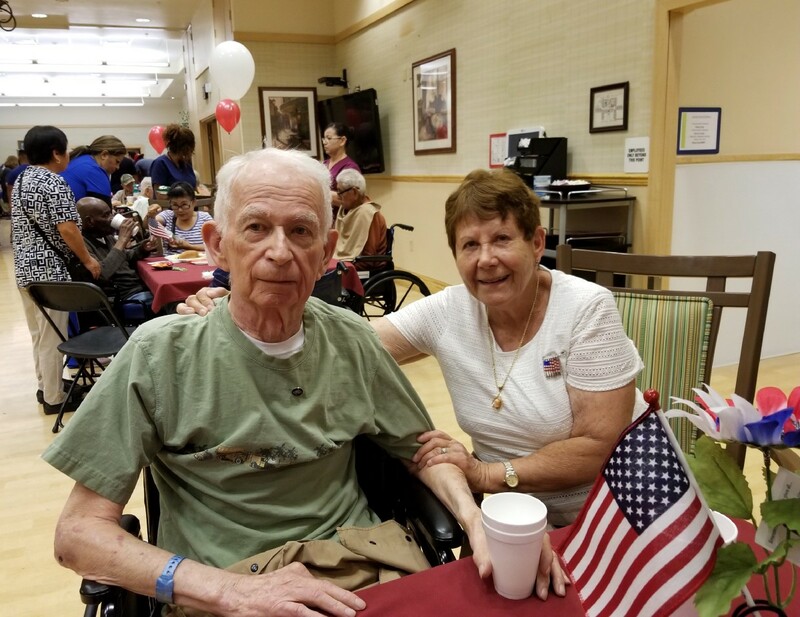 Afterwards a marvelous BBQ lunch was enjoyed by all the residents and their guests. 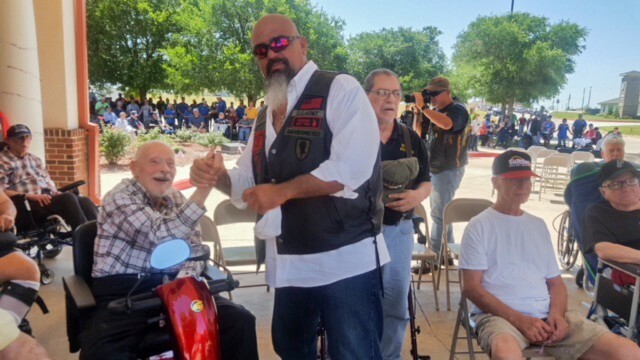 The ceremony on Memorial Day featured guest speaker Corporal Charles M. Rodriguez, who was honorably discharged after serving in Korea from 1951 to 1953. 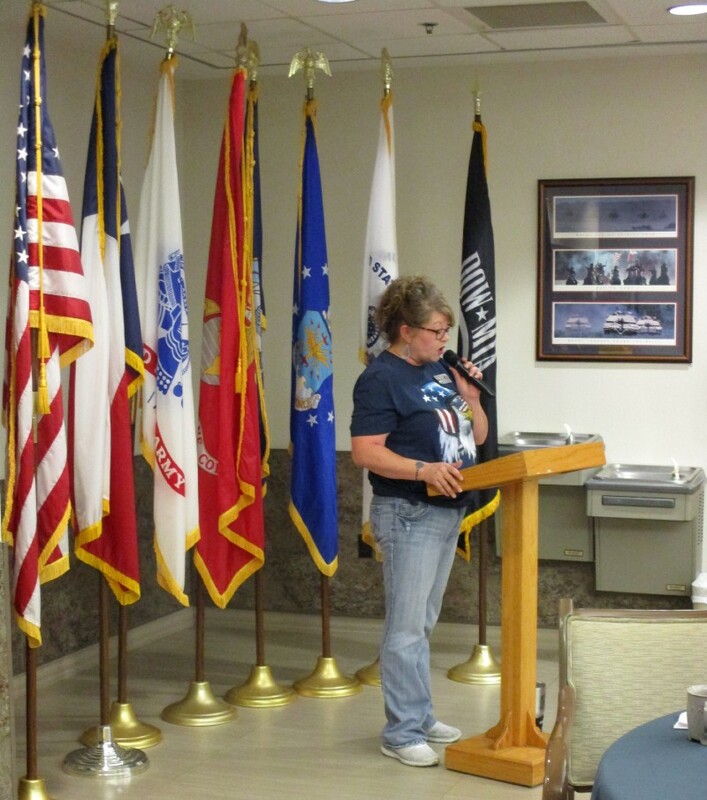 Floresville Mayor Cissy Gonzalez-Dippel also spoke at the event. 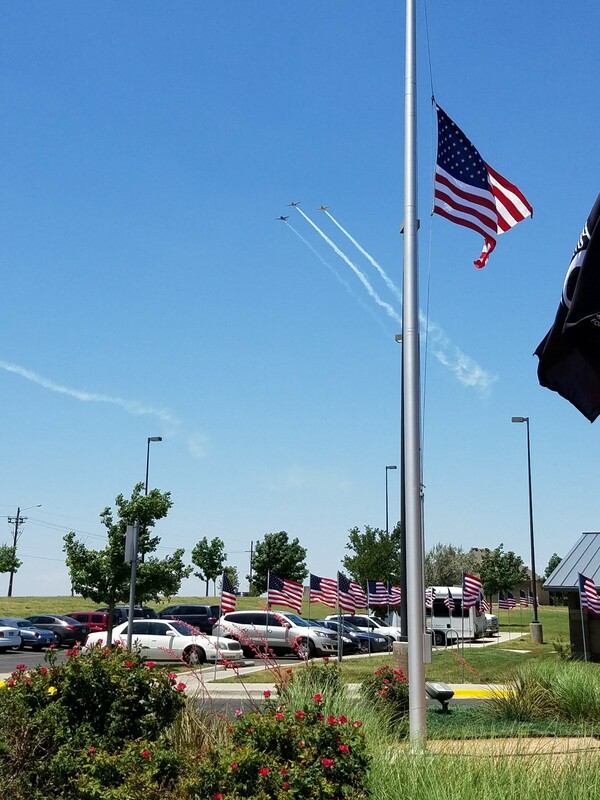 The event included a Presentation of Colors, the Star Spangled Banner, TAPS and a BBQ lunch. 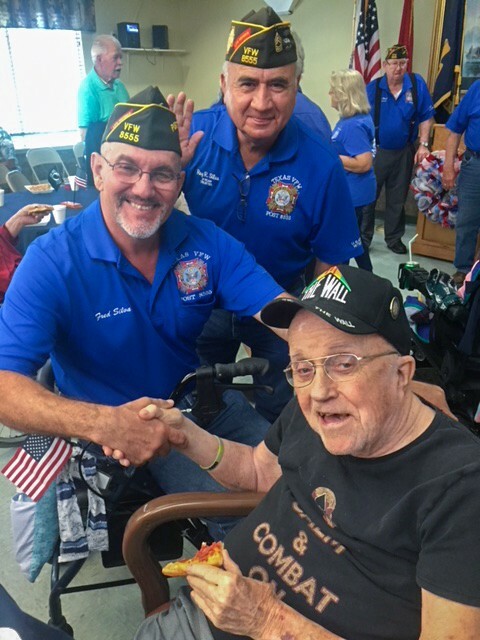 Other special guests included members of the city of council, VFW Post 8555 and American Legion Post 38. 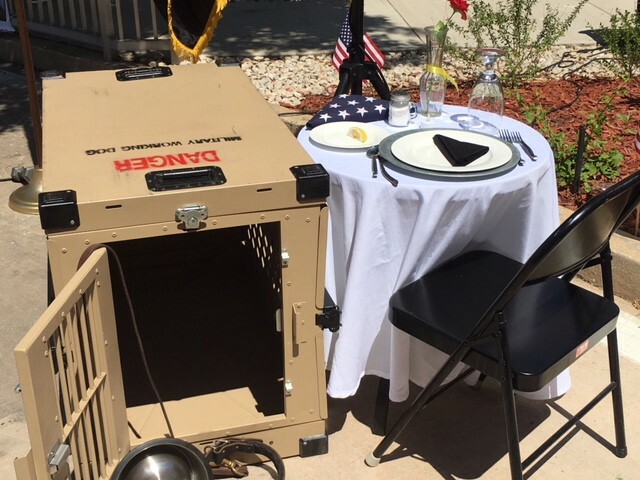 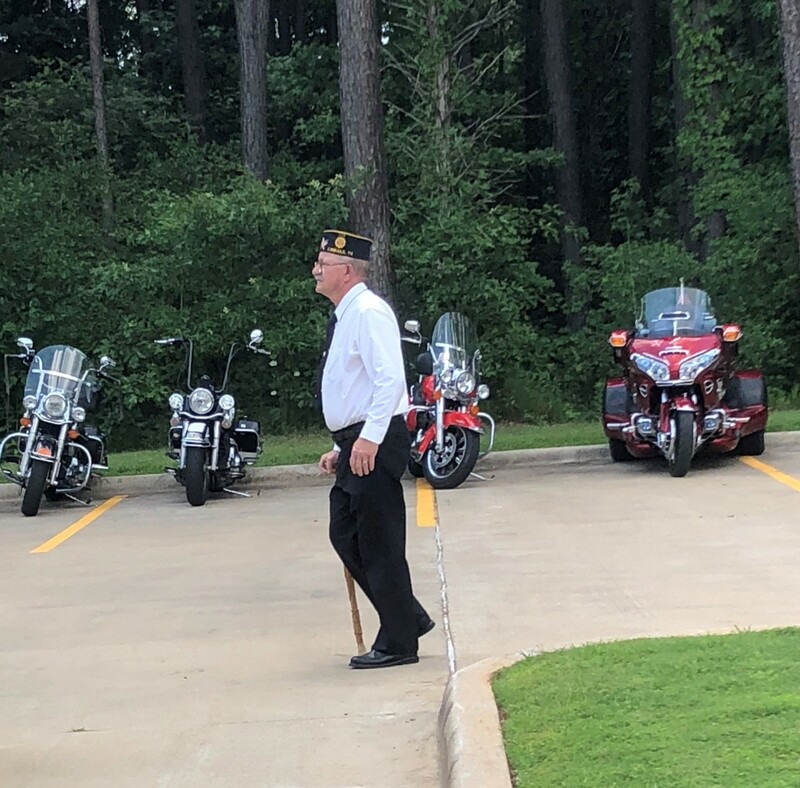 VFW Post 8555 took special care to honor those who lost their lives serving our country and remembered the Veterans we have lost at the Veterans Home since last Memorial day. 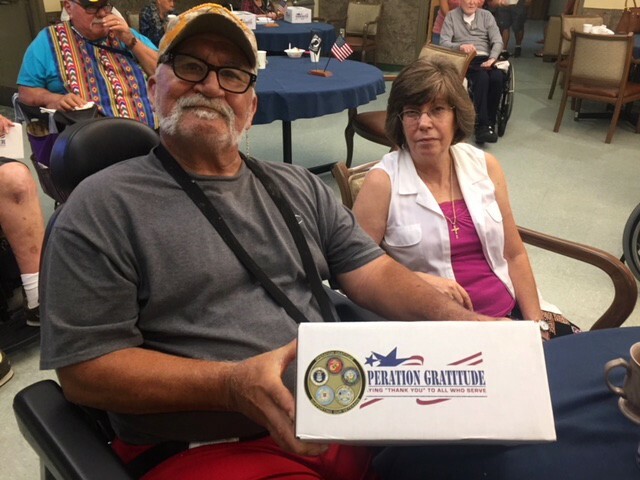 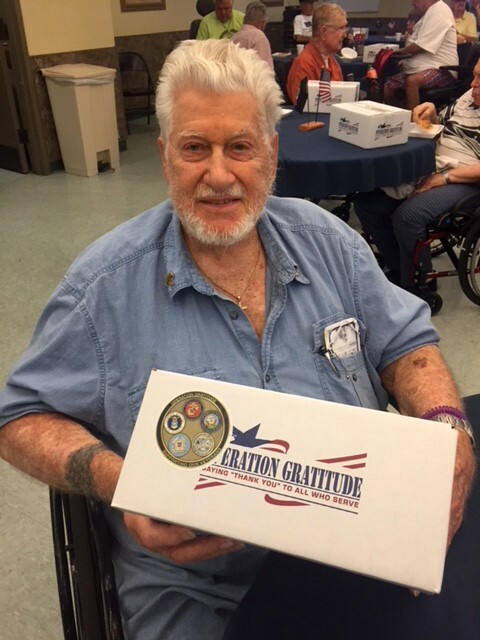 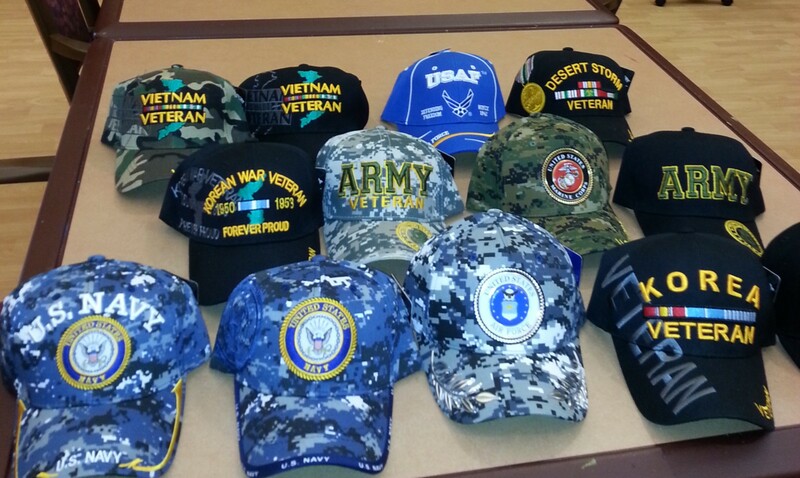 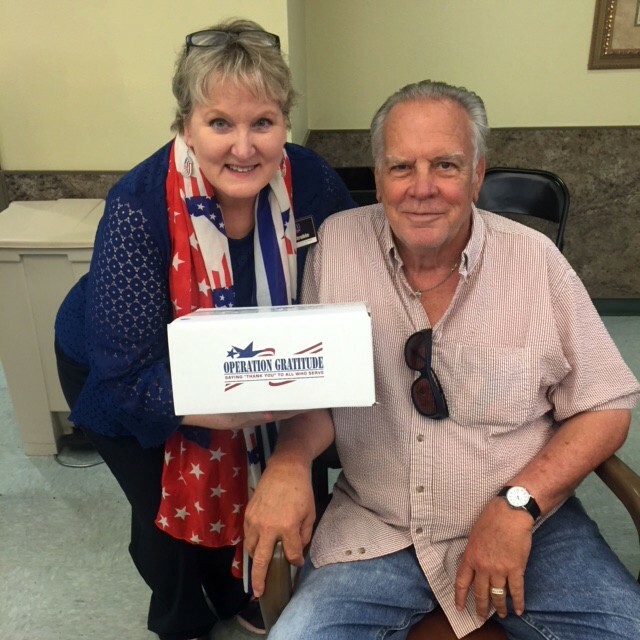 Care packages were provided by Operation Gratitude to each of our Veterans after the ceremony. 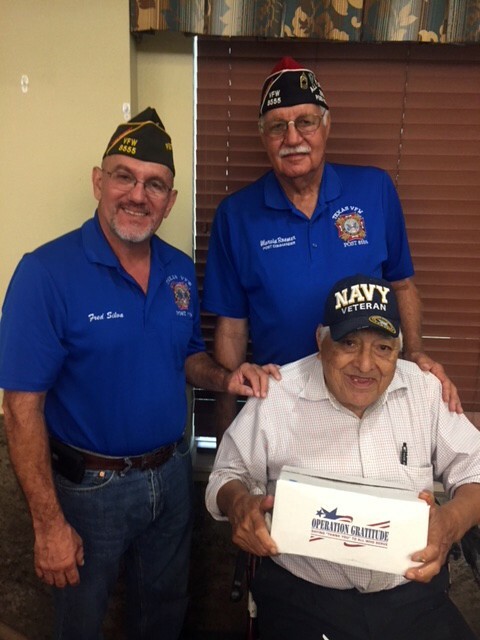 Many thanks to the participants and volunteers at this year’s Memorial Day event at the Texas State Veterans Home in McAllen. 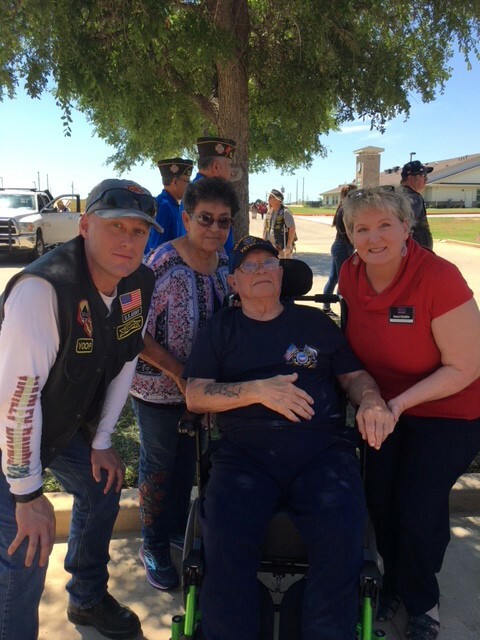 Chaplains Robert and Iris Soto, and other members of Lipan Apache, opened the event with a musical tribute to fallen Veterans. 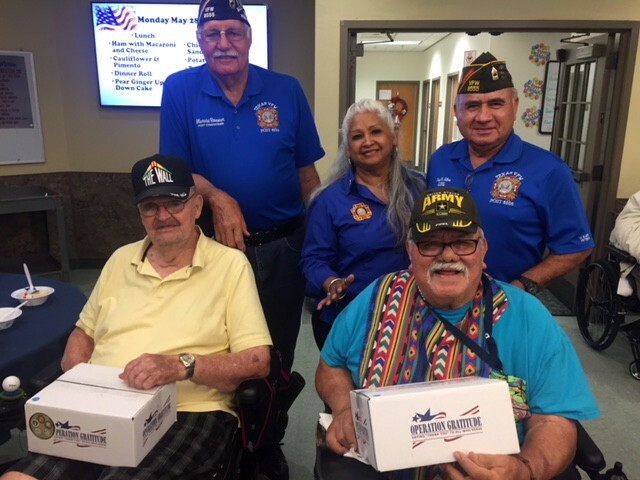 Jose Narvaez and members of the Marine Corps League, including commandant Sean Downey, presented each of our 127 Veterans with commemorative caps. 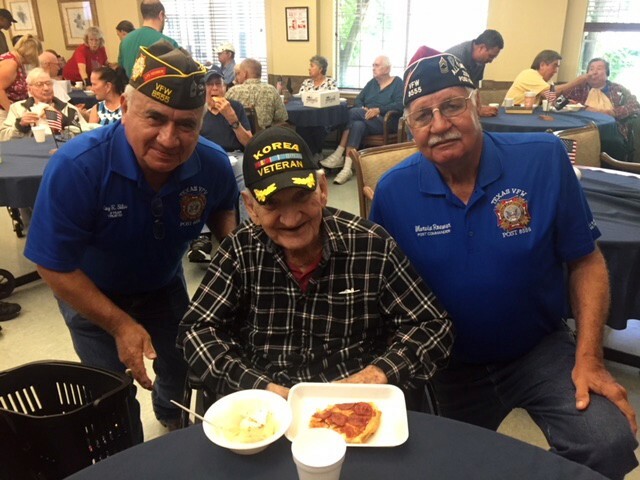 Our residents and guests were treated to burgers and hotdogs grilled by members of the McAllen Palm City Lions Club. 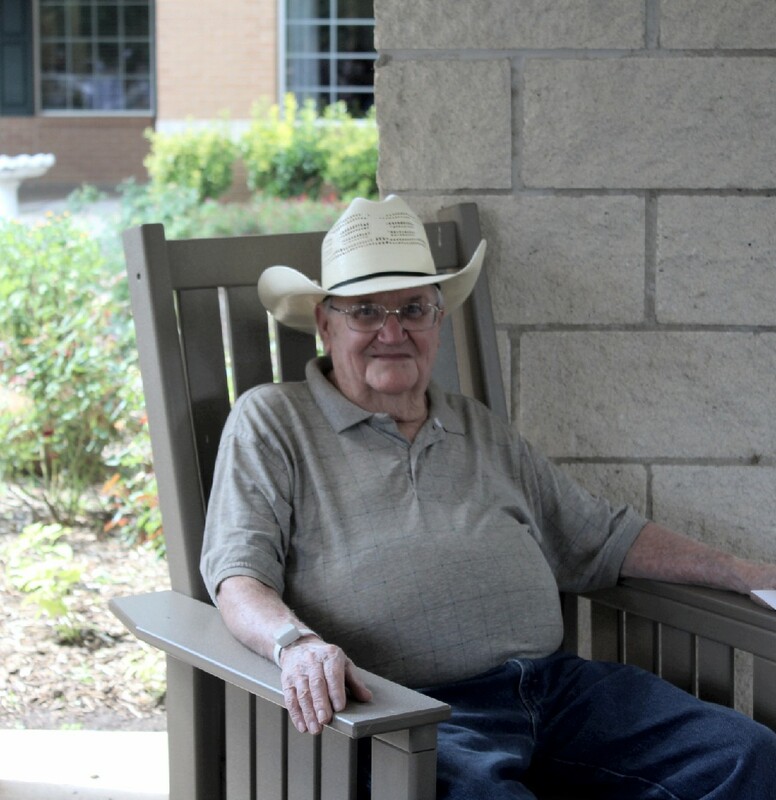 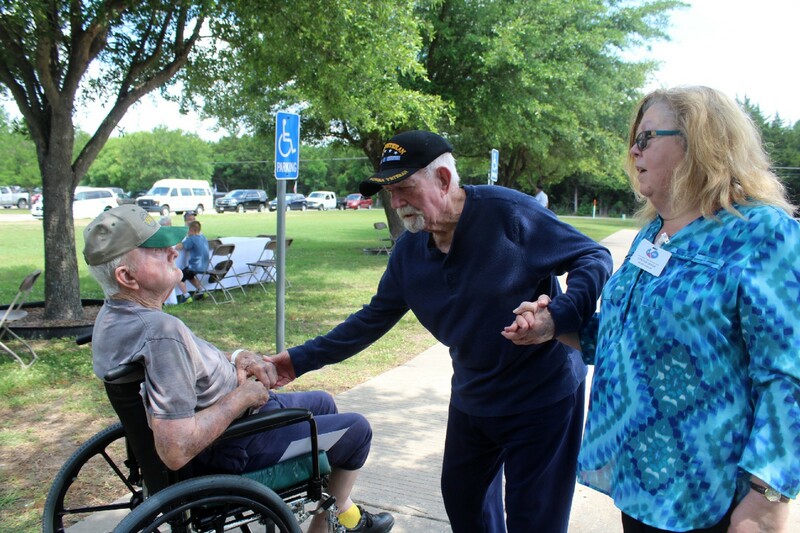 The Texas State Veterans Home in Temple held a Memorial Day ceremony and cookout. 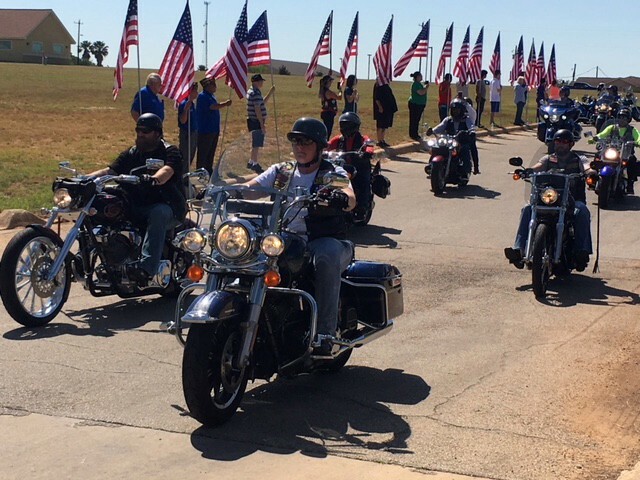 Many thanks to the Combat Veterans Motorcycle Club for their support on this special day. 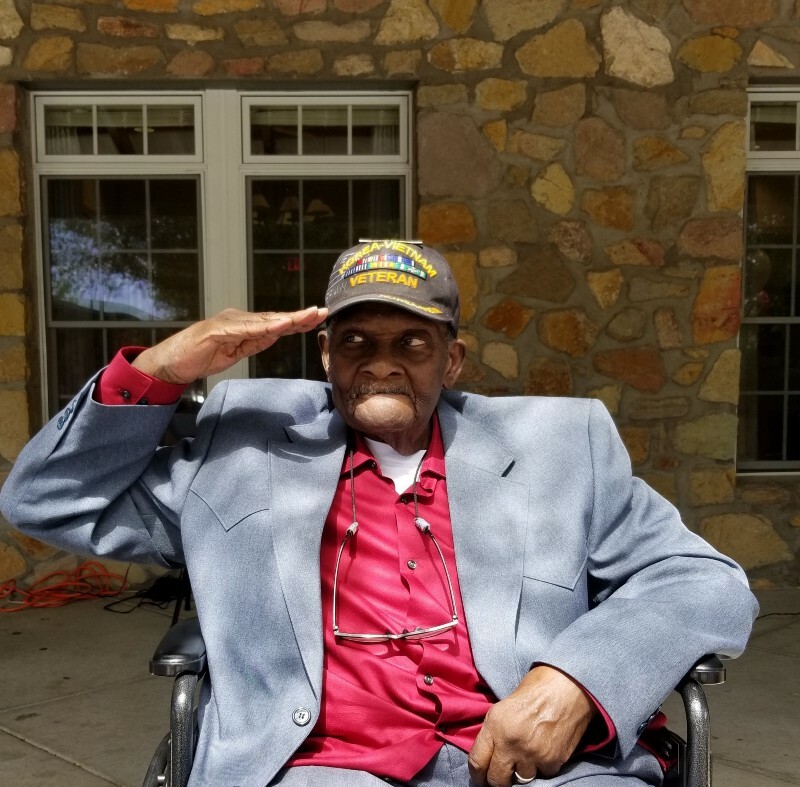 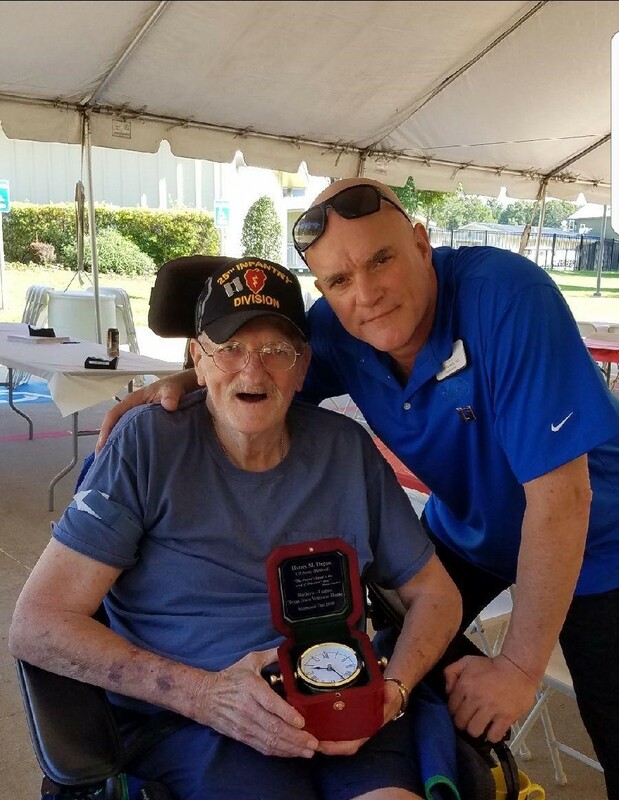 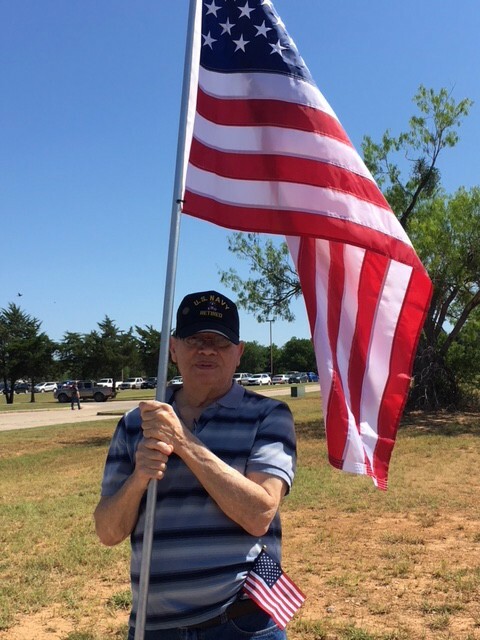 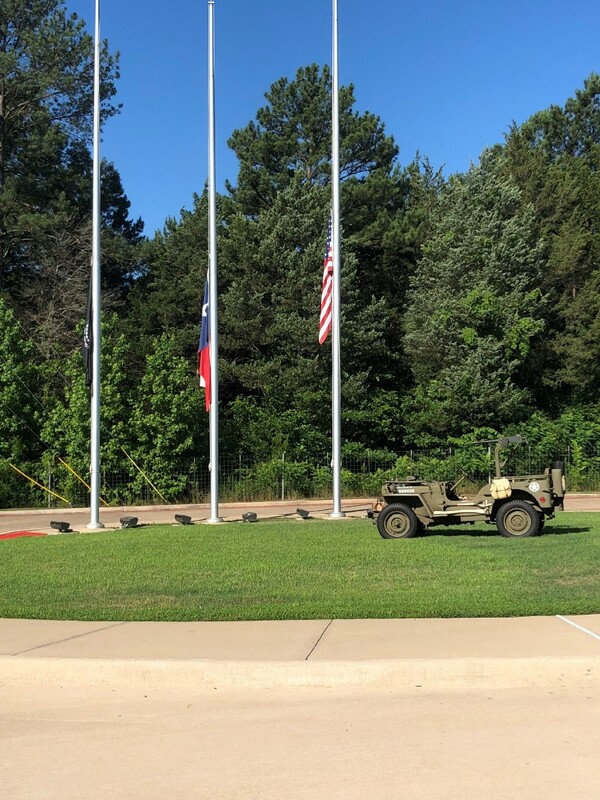 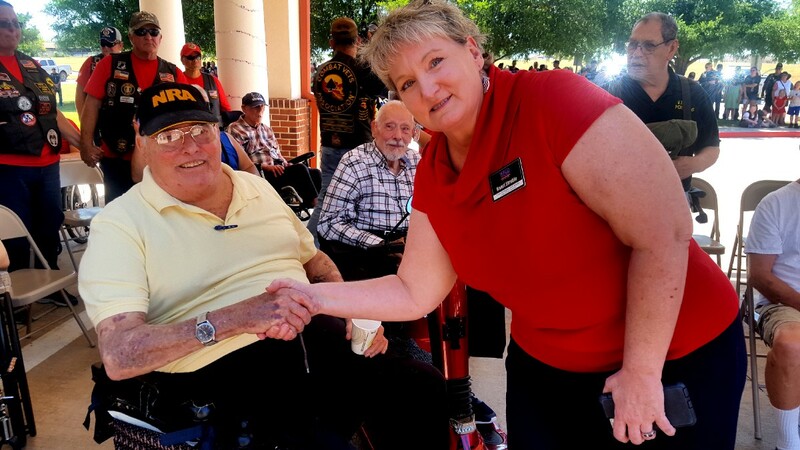 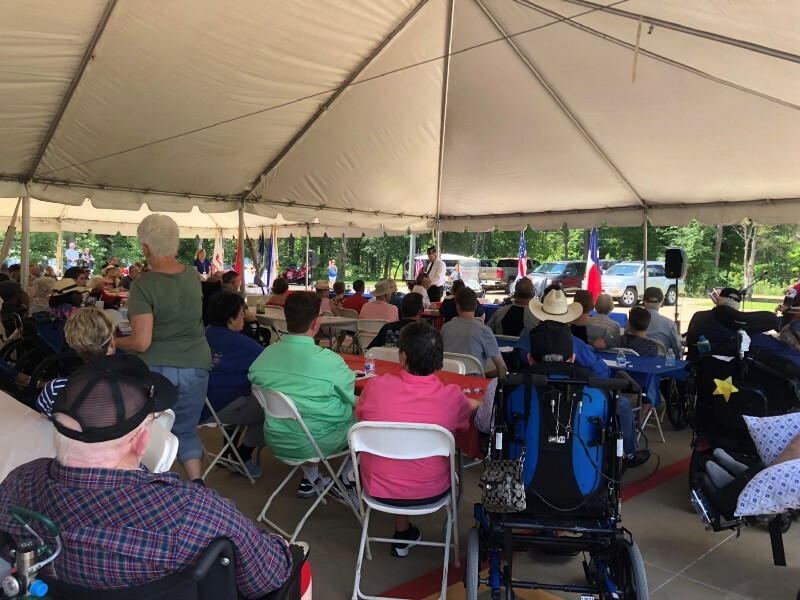 The Texas State Veterans Home in Tyler hosted a Memorial Day Banquet and Ceremony honoring their Veterans on Monday, May 28 from 11:00 a.m to 2:00 p.m. Veterans, families, volunteers and visitors gathered under tents to honor the fallen. 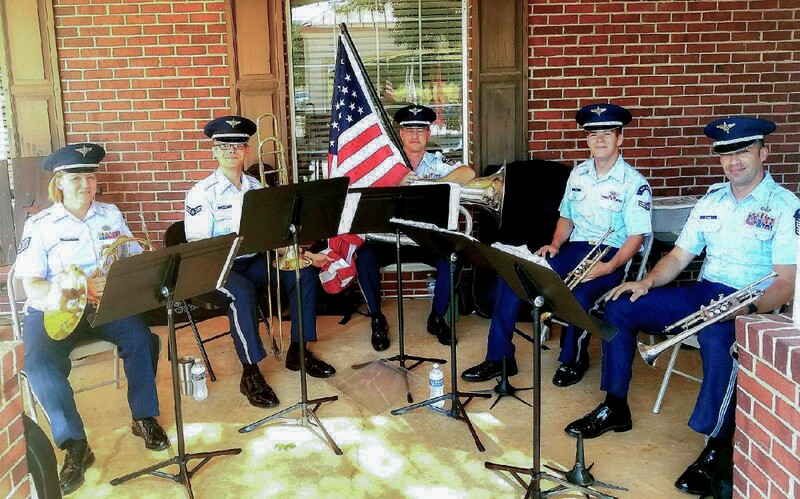 A bagpiper and other musicians played for those assembled. 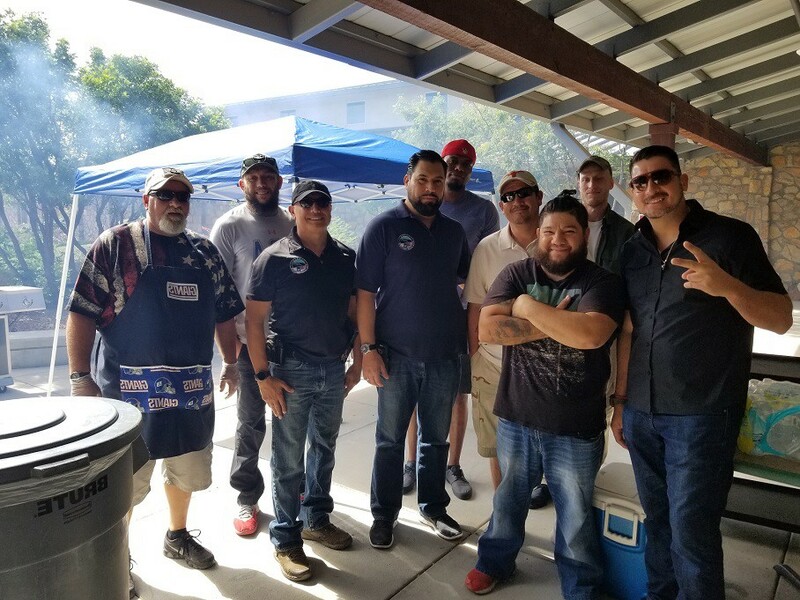 There was also a BBQ lunch with all the trimmings for those in attendance. 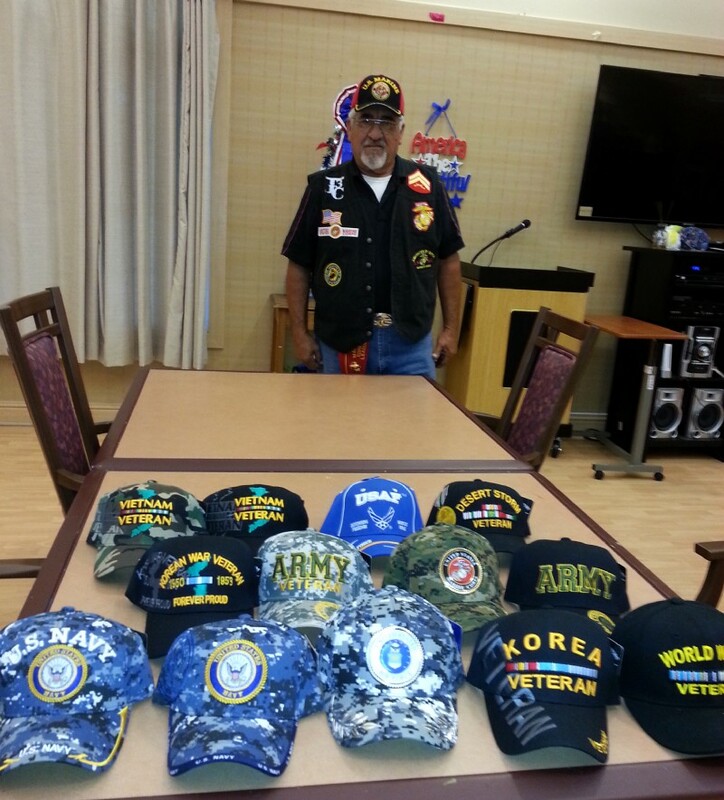 Special thanks go to Harley Depue, keynote speaker, and Karl Little for providing the Fallen Comrade Table. 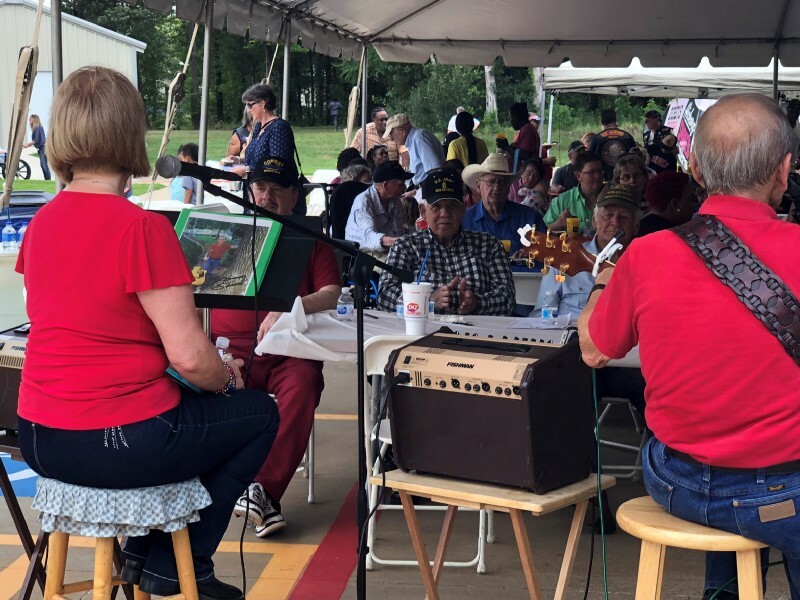 Many thanks to East Texas Matters for coverage of the event.